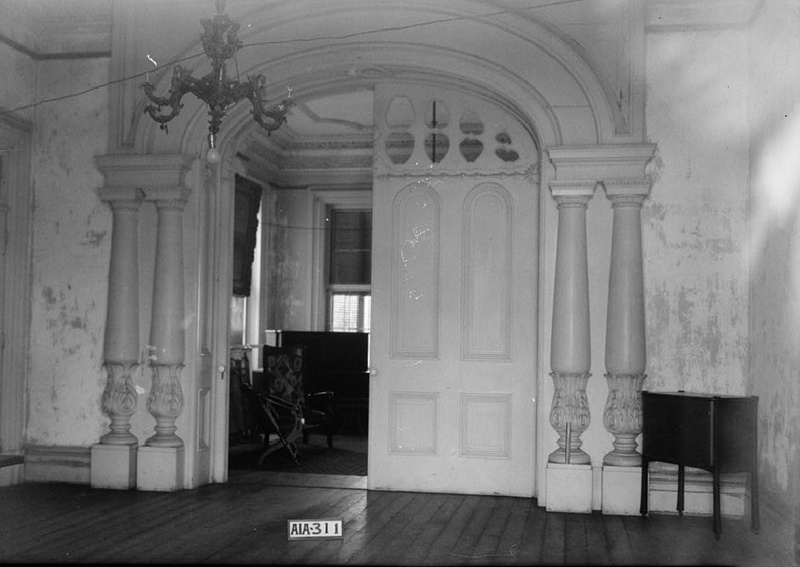 Though it was not his intent, this photographer with the Historic American Buildings Survey who was simply taking pictures of a historic house may have captured images of ghosts of Rocky Hill Castle. I found these pictures at the Library of Congress and had a hard time understanding the white filmy shadow in picture two. 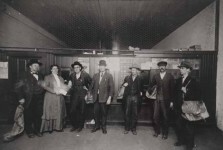 Then in picture four there seems to be a clear image of large man’s face on the right with a white collared shirt. I’ve published many photographs of houses taken by photographer Alex Bush before and never ran across this. Most of his photographs are very vivid without shadows. Do you have an explanation and do you see anything else? 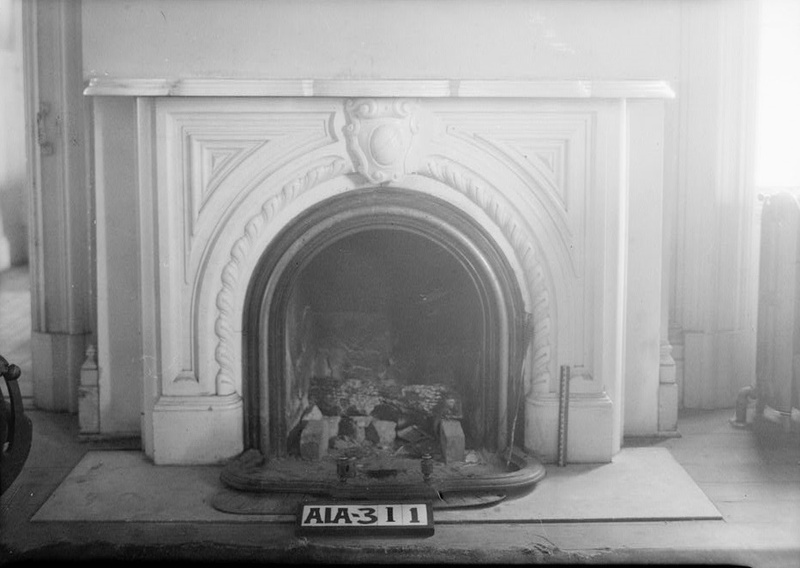 In 1933, NPS established the Historic American Buildings Survey following a proposal by Charles E. Peterson, a young NPS landscape architect. 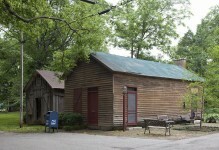 It was founded as a make-work program for architects, draftsmen and photographers left jobless by the Great Depression. 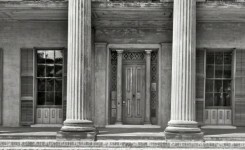 Guided by field instructions from Washington, D.C., the first HABS recorders were tasked with documenting a representative sampling of America’s architectural heritage. 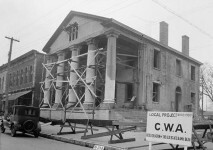 By creating an archive of historic architecture, HABS provided a database of primary source material for the then-fledgling historic preservation movement. 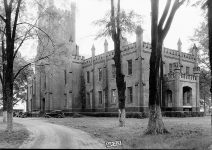 Alex Bush was a photographer for the HABS when he took these pictures of Rocky Hill Castle in Lawrence County, Alabama in 1935. Strange white shadow coming down from ceiling? 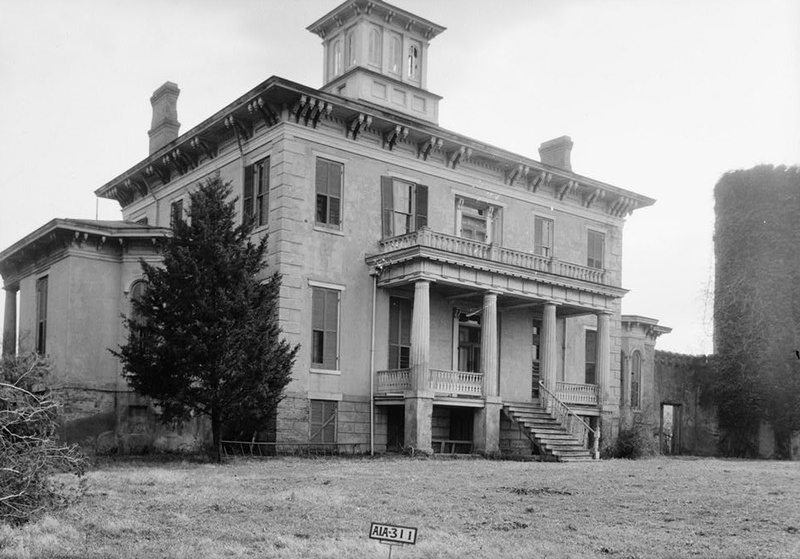 Rocky Hill Castle between Decatur and Muscle Shoal was built in 1821. This once proud mansion has many ghost stories told about it. Tales include the clank-clank of chains tapping in the basement, the little Confederate Lady, and a corpse sitting up. 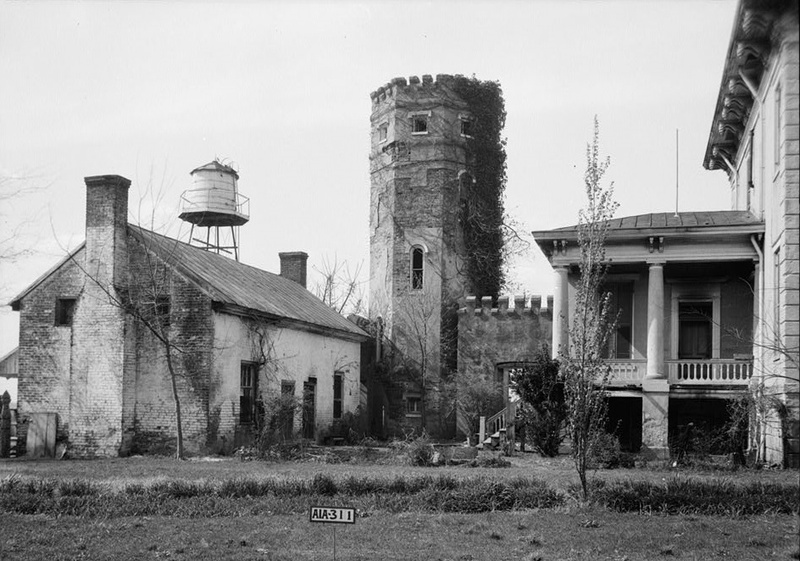 The tower of the castle has six floors, some of which were used for slave quarters. 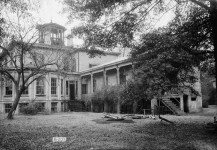 It is said that the top floor was a lookout from which the master surveyed his land and could shout orders to his slaves a mile or more away. 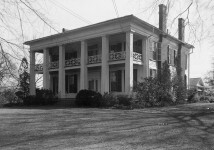 The plantation at Rocky Hill Castle was founded by Col. James Edmonds Saunders in the mid-1820s, shortly after he and his wife came to Alabama from their native Georgia. Saunders, born on May 7, 1806, and was a planter and a lawyer. 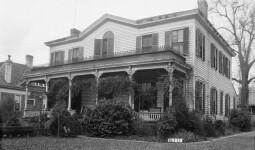 After James Saunders died in 1896, there were many owners. 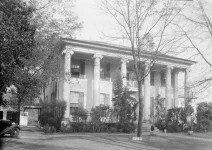 The last member of the family to own the house was Dr. Dudley Saunders. 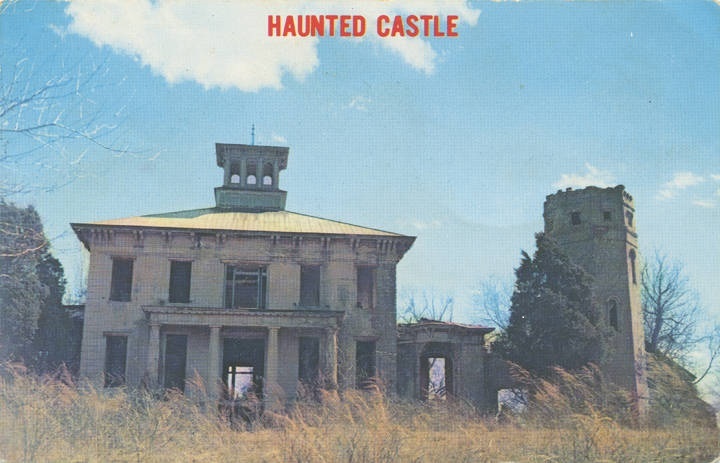 It is alleged that he and his family abruptly abandoned Rocky Hill Castle in the 1920s after ghostly activity occurred. 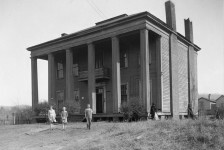 The house was purchased by H. D. Bynum and R. E. Tweedy in the 1920s who utilized the farmland but did not reside in the house. 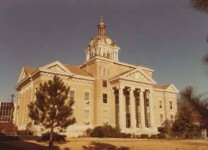 It was finally demolished in 1961 by the new owner, Gordon McBride. Where Do I Start? : HINTS and TIPS for BEGINNING GENEALOGISTS with ONLINE RESOURCE is filled with Hints and Tips to begin your family genealogy research and acquire Genealogy information. That photo with the man’s face in the upper right hand corner is really cool! And all the other photos are too! Thanks for finding them and sharing them with us!!! How sad it was torn down! 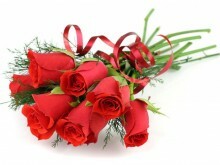 Hopefully they are nice like the one we have. Forget the ghosts. I love getting to see the inside of the home. The architectural details are fabulous. The arched pocket doors…If only I could have those! 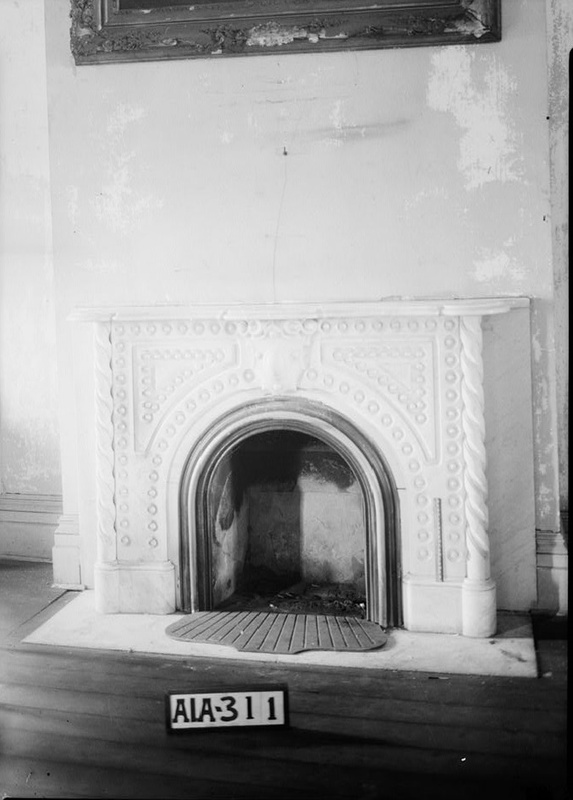 House had beautiful features – a shame it was torn down. I have heard ghosts (if they exist) won’t hurt anyone, they just hang out in a place that is meaningful to them. I hate this house was demolished. That is the fate of most of our old lovely homes. Down they go for some modern stuff with no character. Lens flare or just dust in the air. They had to do long exposures back then and anything moving, such as a dust-cloud would appear to be some kind of a mist. Like cloud-formations, you can “see” almost anything you like. 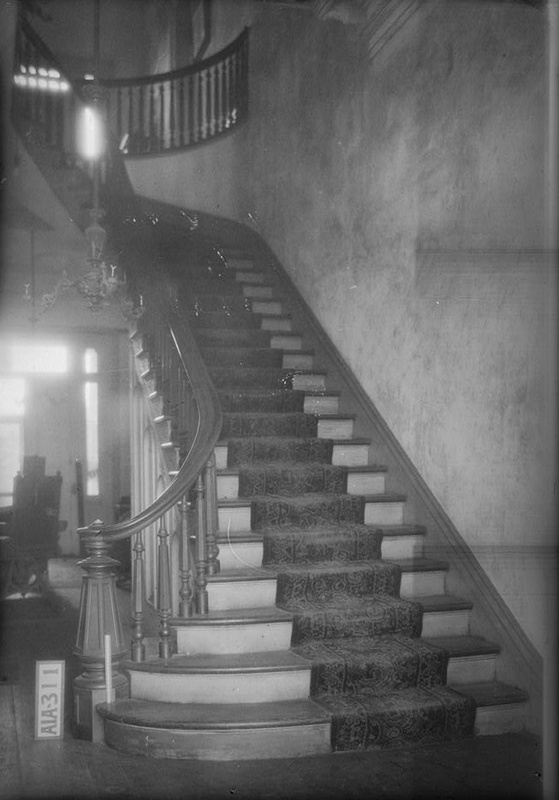 The photo of the winding staircase, right side on the wall, appears to be a lady’s head with large hat on. The long exposure time used to capture detail in poorly-lit settings (notice the unlit light bulbs) + a careless host, assistant, or even photographer who walked into frame then quickly realized his error = the image of the man. 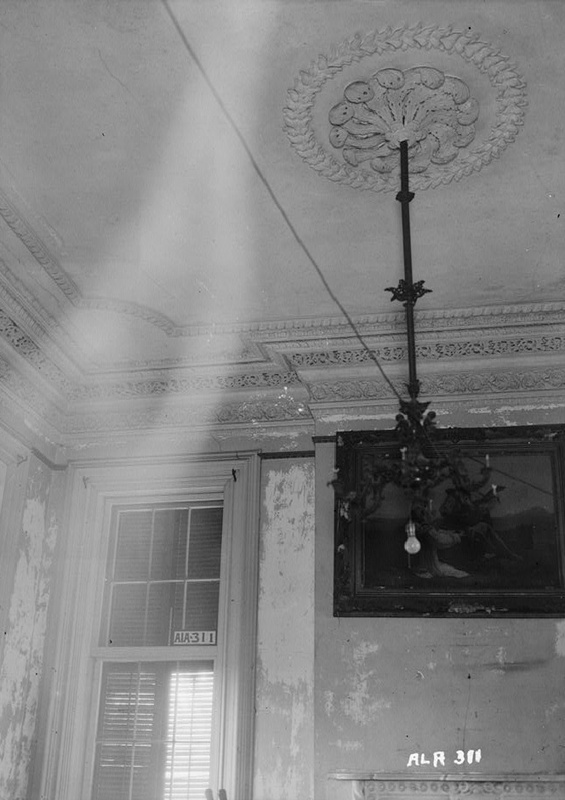 Agree with previous comment that other “ghostly” image appears to be dust or lint. Also agree that the real story here is the beautiful architecture. I wrote a history of Rocky HIll a few decades ago. Gordon McBride lived across the street and built his home with the bricks, front doors, columns and several other architectural features from the original Saunder’s home in the early 1960s. I asked him why he had to tear it down and he said it was just beyond saving by 1961/62 when he came into possession. Mr. McBride was a successful businessman and actually still lives a few blocks away from me today. He is in his mid-90s now. My father, 92, also is still alive and with my mother still live across the street from the modern home built of Rocky Hill. We have one of the original massive wooden beams that served as my childhood study table/bench that was in our family den for many years. My brother owns that particular piece now and lives in another city in Alabama. Mr. McBride raised two boys and a girl in the home he built. Whenever their parents were away at a function for the evening, his youngest son, who was a friend of my middle brother, would come stay with us because of the strange occurrences he said still resided within the architecture of the place. 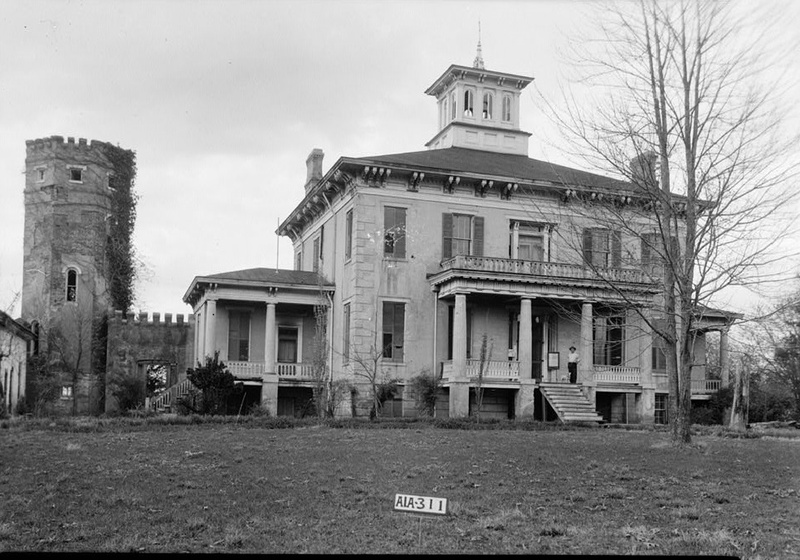 I would play “Civil War Solider” in the spacious front yard of the home and always was fascinated by the slave-made bricks that made up the curved lamp post in the yard close to the street. It’s still there to this day. When I ventured out to the original site some 26 years or so ago, I used the “then & now” method of photography to illustrate the changes to the property. Twin cedar trees in back of the house, evident in the 1930’s era photos were still there but had grown quite large and flanked a modern swimming pool. The modern home built on top of where Rocky Hill stood is nothing spectacular and quite disappointing considering the history of the property. A retired state senator lived there. Down the knoll and to the west of the home was the old cemetery but grown up and it took a bit of effort to fight through the brush to reach it. Several soldiers and Saunders relatives are buried there, including two graves of a man and woman (I’m sorry I can’t remember and I’d have to find the original story to know) but I was struck that they were lovers in life and in death, a small tree at the head of each grave had grown into one tree which seemed quite symbolic to me. Scattered about the property and halfway down the knoll from the home were old bits of column bases and ironwork, etc., that had once stood proudly as part of the original home. I’m in my 50s now and this was all a long time ago, but obviously, having grown up literally across the street from what was Rocky Hill, it is a property and story dear to my heard. Thank you for your historic information. So sad these old homes get into such a state of disrepair and can’t be restored. They were so beautiful and unlike what is built today. Again, thank you for your input. Was Alex Bush the photographer? His photographs of of Alabama houses are sublime.